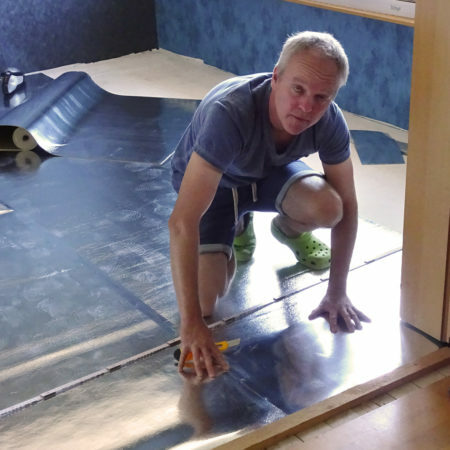 One floor for one family, ten children, 20 feet, and a wheelchair. The home of the large family K. in Meßstetten has seen lots of play for many years. 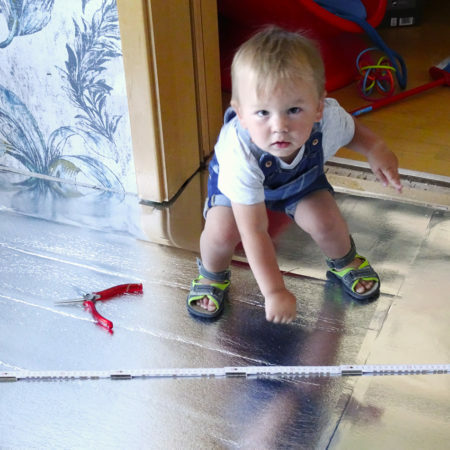 The weak points of the floor became apparent when the parents - shortly after the birth of their ninth child - decided to foster a child with Down Syndrome. 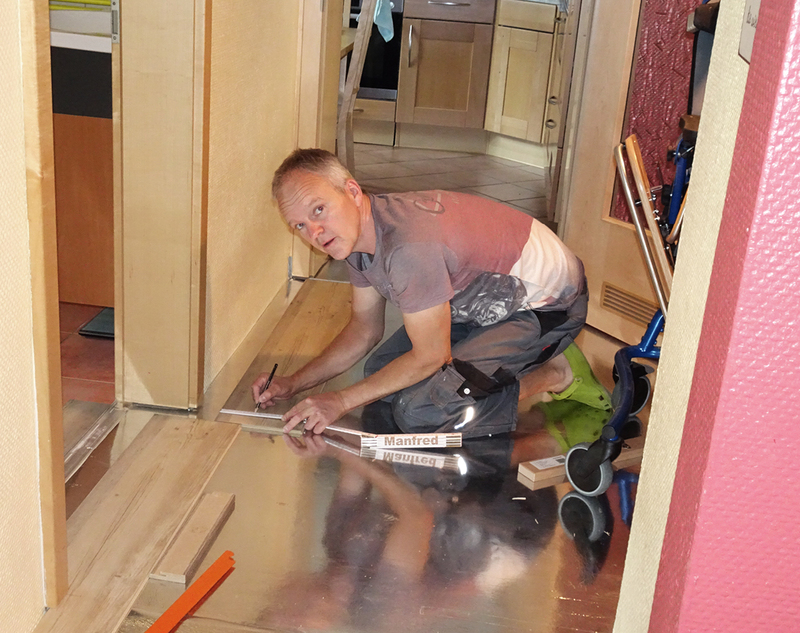 Thresholds everywhere, and the loudly creaking, slanted engineered wood flooring made the complex daily routine with a pushchair even harder. Parador's support within the scope of the campaign “40 years - 40 projects” came at just the right time to start renovating. 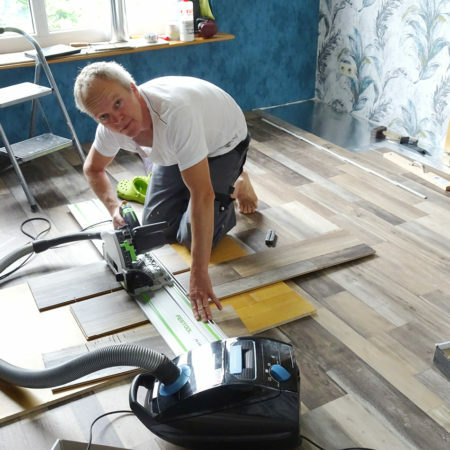 With the vinyl flooring Classic Shufflewood Wild and Pine white oiled by Parador, dad was able to install new flooring in the hallway and the living room on his own. 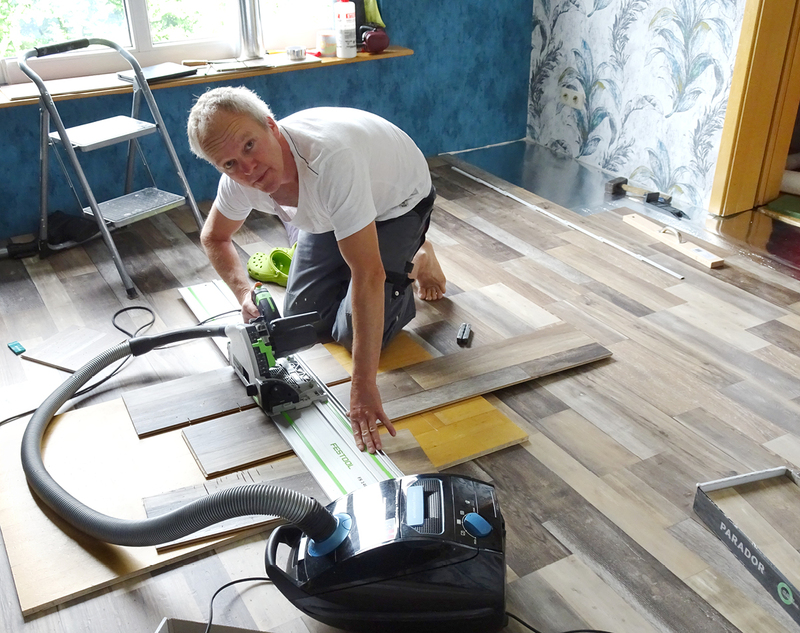 “The youngest family members were always there during the installation, and they were very enthusiastic,” says Mr. K., and he continues: “And it’s so much quieter here now! 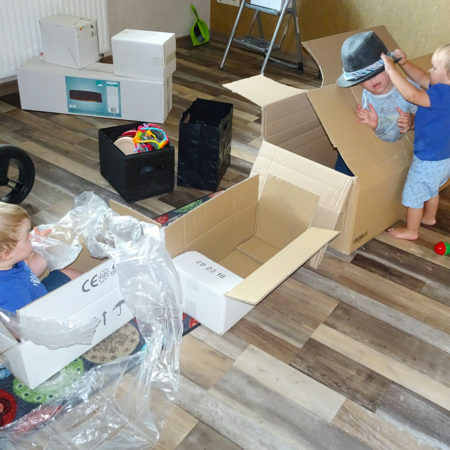 When the little ones throw their rattles on the floor, it's so much less noisy than it used to be.” And moving the pushchair? It’s child’s play. 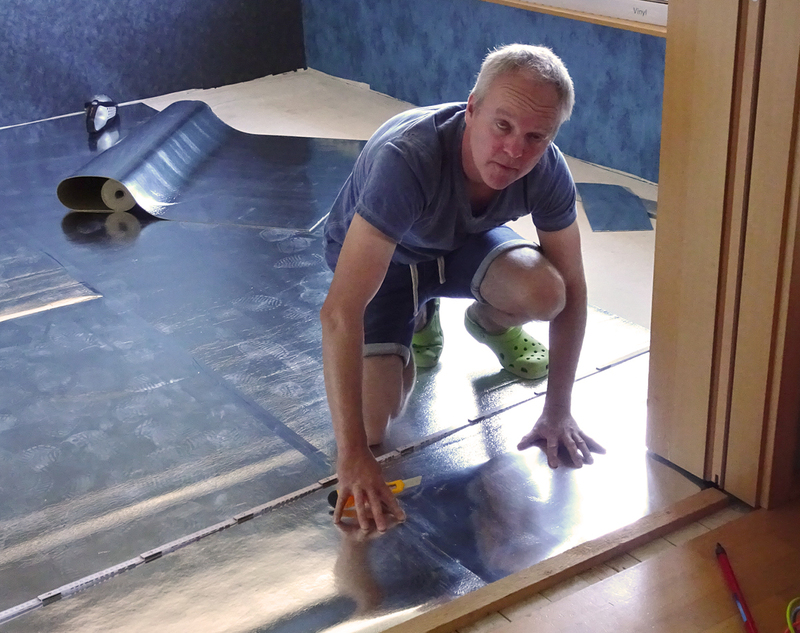 The slanting room was finally evened out and the installation of the underlay Akustik- Protect 300 could begin. 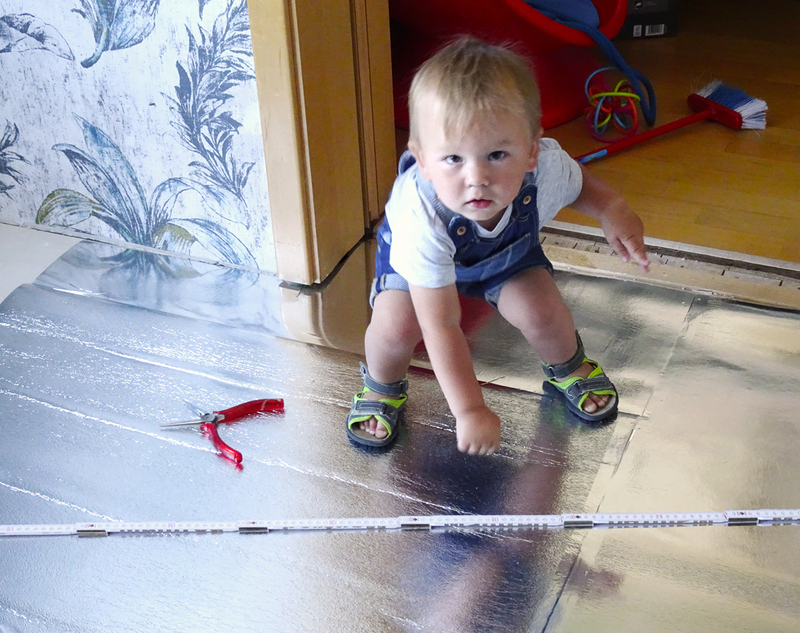 Before the flooring is installed, someone had to test whether the underlay keeps its promises. Thresholds no more! The robust and non-slip flooring Vinyl Classic Pine white oiled offers a new sensation for feet as well as wheels in the hallway. 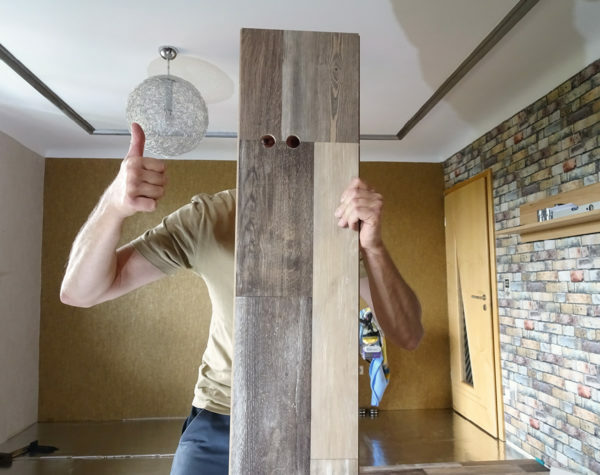 Thanks to its impact noise protection with natural cork, everything will be much quieter here. 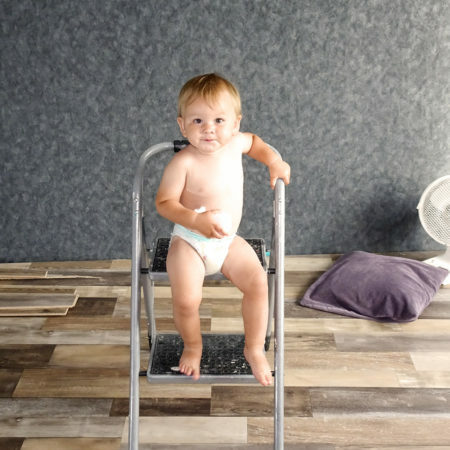 Parador supports the K. family with the vinyl flooring Classic Shufflewood Wild and Pine white oiled. 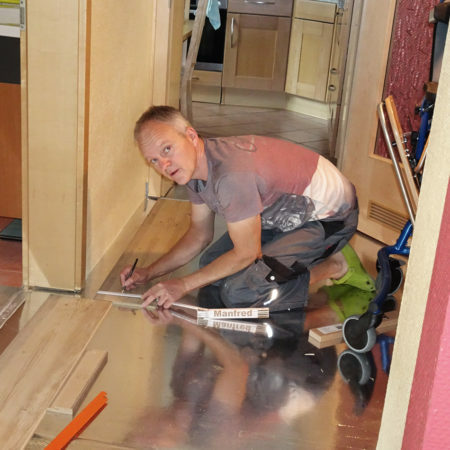 Thanks to the Safe-Lock PRO® click mechanism, Mr. K. can easily and safely custom-fit the installation of the flooring, completely on his own. 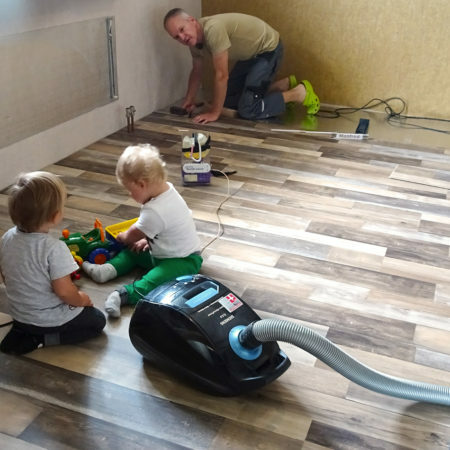 “The youngest family members were always there during the installation, and they were very enthusiastic,” says Mr. K. And it's a great feeling to know that the surface finish repels dirt and bacteria. Now everyone can happily continue to play. 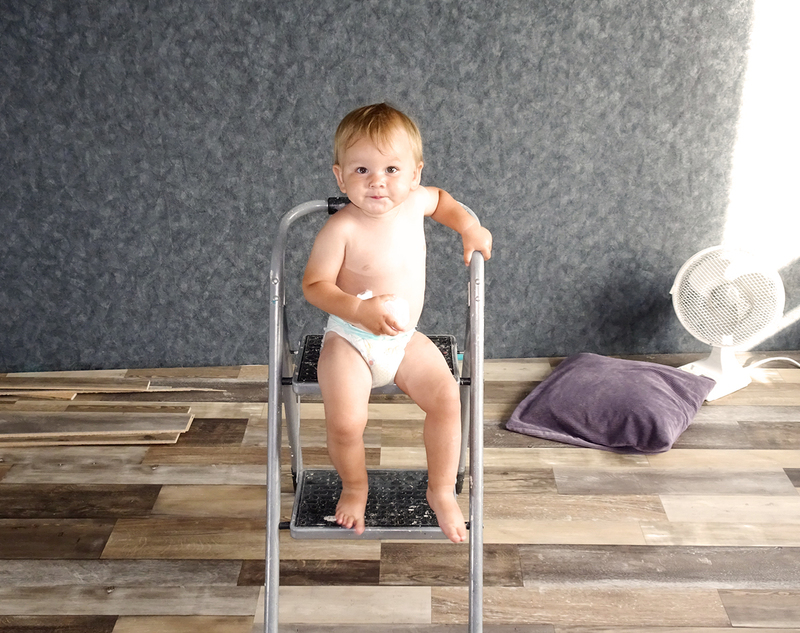 The small feet stay warm thanks to the double acoustic protection of the underlay, and they are overall much quieter due to the impact noise protection of the vinyl flooring. 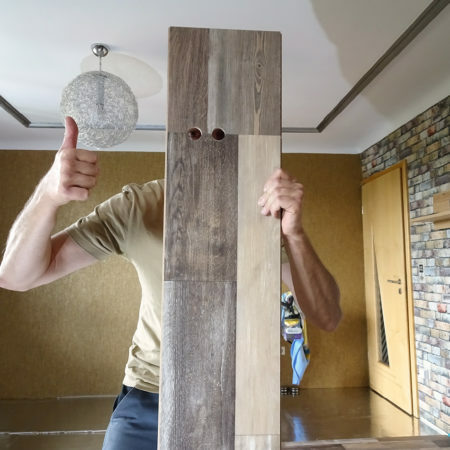 It's good to know: Vinyl Classic by Parador has the PEFC™ seal: A certification for sustainable forest management in special consideration of European ownership structures characterized by family-run businesses. 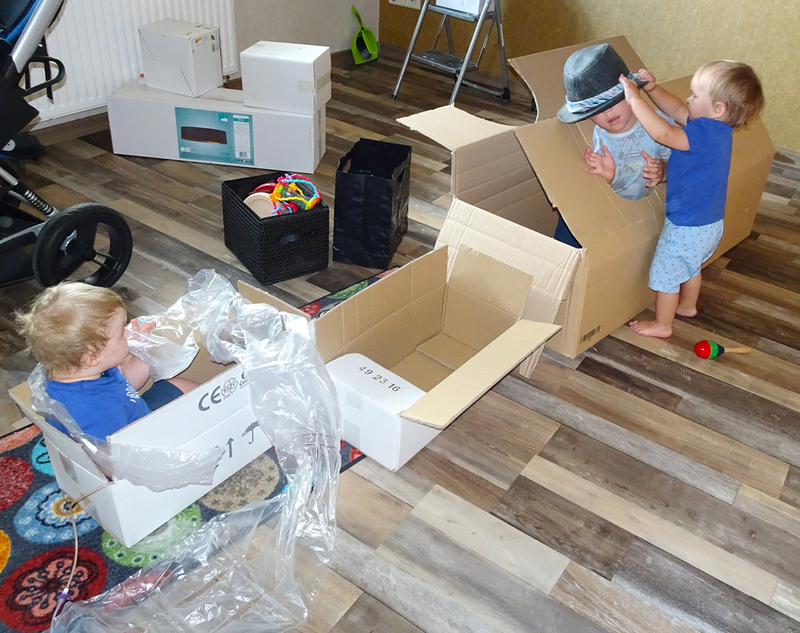 Life in a large family is diverse and a joint learning process. 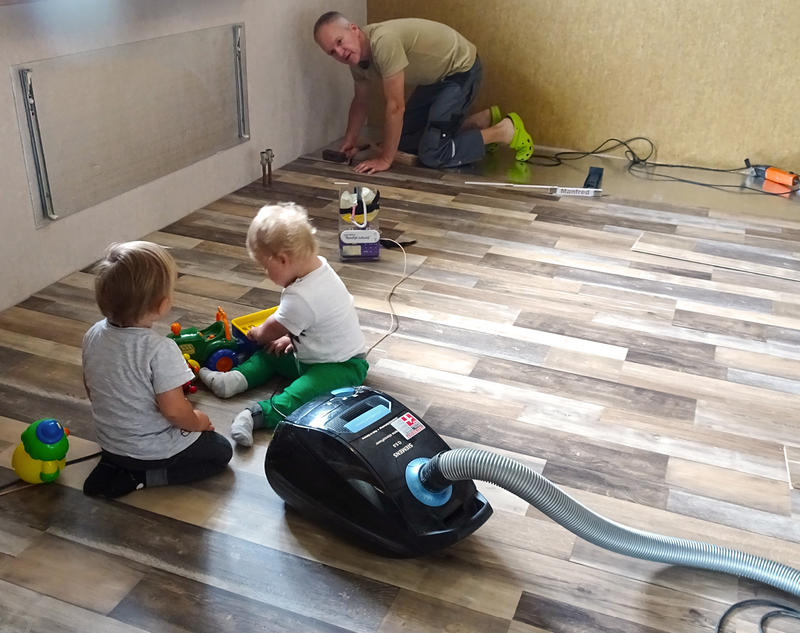 With the new flooring, everyday life of the K. family now runs much smoother. Thank you, Parador!